Youth are already innovating and creating positive and sustainable change in their communities. They believe they have a responsibility to each other and to future generations. We have the opportunity to champion their ideas and give them the building blocks to become responsible leaders. We fund the Lazord Fellowship, which creates leadership and professional development opportunities for recent college graduates by connecting them with local internships, trainings, mentoring, and professional networks. We currently support fellowships in 3 countries: Egypt, Jordan, and Tunisia. One of the foundation’s highest priorities is to identify local organizations to actively participate in the implementation and development of the Lazord Fellowship. We have been able to identify highly qualified, mission-driven organizations to manage the Lazord Fellowship based on our years of experience, knowledge of the region, and extensive networks. The foundation strongly believes in the importance of fostering sustainable and collaborative relationships with the Lazord Chapters. The foundation creates networking opportunities for the exchange of knowledge, experiences, and best practices. We aim to build and connect a Lazord community of diverse and responsible leaders who are motivated by a passion for civic engagement. Why the name “lazord” ? 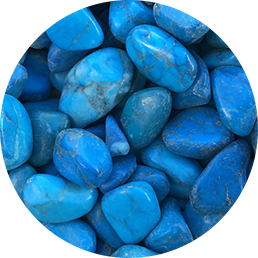 We proudly use the name Lazord, the Arab word for Lapis Lazuli. Prized in Arab history for representing wisdom and truth, the Lazord stone is a symbol of the region’s youth - a treasure to be cultivated, honed, and cherished. Respecting all others, regardless of differences in appearances, traditions or beliefs; the patience to discover the root of a difference of opinion before acting on conclusions. Treating everyone with kindness without the expectation of reciprocity. Being honest and fair to others, including yourself; having an internal sense of accountability. Commitment to promises and unfinished projects; a determination to strive for excellence while never neglecting to seek the input of others. Courage to live out your dreams and help others, despite the challenging circumstances that often cross our paths.